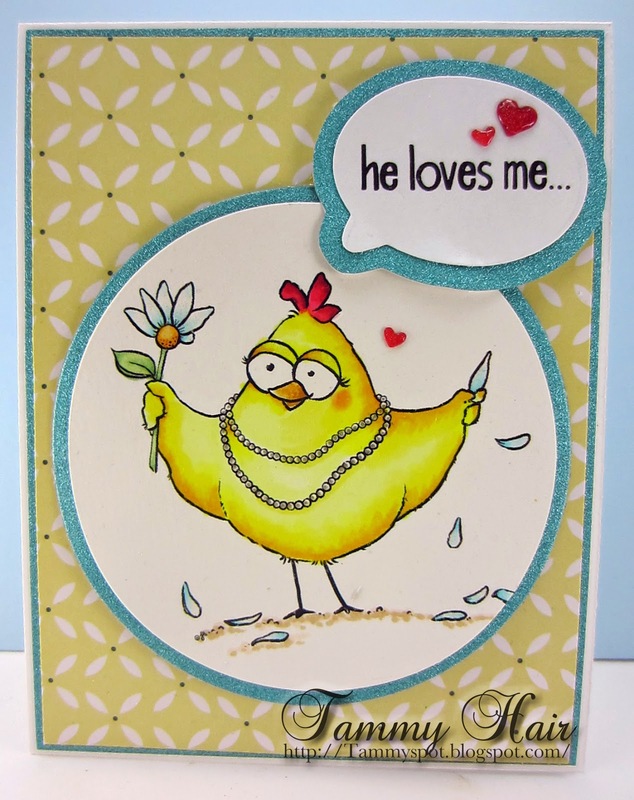 My card today features From the Heart's super cute digital Loves Me Birdbrain that I received free for entering their challenge last month! I am going to enter my card in From The Heart Digital Stamp of the Month Challenge again this month. this is really cute. I love the little heart shaped thingies you used. Great paper choice too Tammy! Cute, cute, cute! Love the addition of the speech bubble and tiny hearts. Love your card too! FUN! Tammy, your coloring of the Birdbrain Chick is fabulous !!! And the speech bubble with the little hearts inside - very sweet !! Thanks for joining our FREE Stamp of the Month February Challenge @ From the Heart Stamps !! What a great card Tammy, I love that image! What a fun image! Great job on your coloring! How could he resist? This is adorable with this chick in her pearls! This is just as cute as can be. Love your coloring too. Super fun and cute, Tammy! Your coloring is so good! Love this! I like this image and what you did with it Tammy!